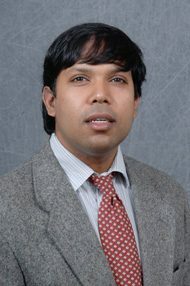 Roger Narayan has been a Professor in the Joint Department of Biomedical Engineering at the University of North Carolina and North Carolina State University since 2009. He works on the use of laser techniques such as pulsed laser deposition, laser micromachining, matrix-assisted pulsed laser evaporation, and laser-based additive manufacturing techniques for processing of biomaterials. Many types of laser-processed biomaterials have enhanced functionality over conventionally-processed materials and have potential applications in drug delivery, biosensing, and tissue engineering. Roger is an author of over one hundred publications as well as several book chapters on processing, characterization, and modeling of laser-processed biomaterials. He has taught biomaterials science to undergraduate students and graduate students since 2003. In addition, Roger has developed nanobiotechnology certificate programs at the University of North Carolina and at North Carolina State University. Dr. Narayan has given numerous invited research presentations and tutorials on laser-processed biomaterials at international materials engineering and medical device conferences. Earlier in his career, Roger received a National Science Foundation Faculty Early Career Development (CAREER) Award and an Office of Naval Research Young Investigator Award. Roger’s work is currently funded by the National Institutes of Health, the National Science Foundation, and industry. Roger was elected as Fellow of the American Institute for Medical & Biological Engineering in 2012.